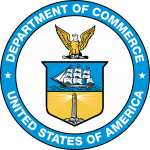 PESA and the U.S. Department of Commerce are organizing a meeting in Houston between a delegation of Mozambique and U.S. energy service companies for September 21. The purpose of the meeting is to engage energy companies from the two nations that are interested in partnering on bids for the upcoming Anadarko-led LNG project in Mozambique. Anadarko is hoping to make a final investment decision on the project within the first half of 2019 and finalize facility construction by 2024. Anadarko said at the World Gas Conference in Washington, D.C. that they are ready to move forward with the project after identifying a sufficient number of potential customers. The company has already reached agreements with energy companies from Japan, Thailand, Tokyo, France and the UK, among others. Friday, September 21, 3-5 p.m. If you would like to attend this meeting, please contact PESA Vice President Government Affairs, Tim Tarpley.